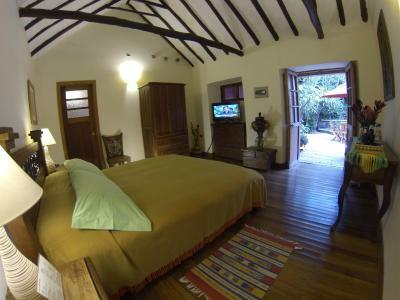 Lock in a great price for Abadia Colonial – rated 8.5 by recent guests! Everything! 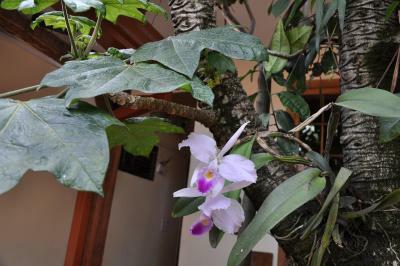 The staff, location, and environment was perfect for a wonderful Bogota vacation! 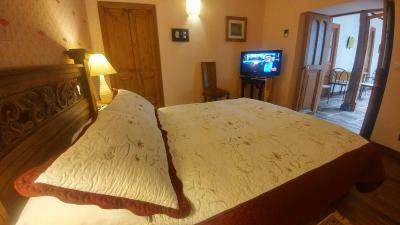 The staff was very friendly and welcoming and the food at the hotel was fantastic. The rooms were spacious and felt like home. I would highly recommend it! 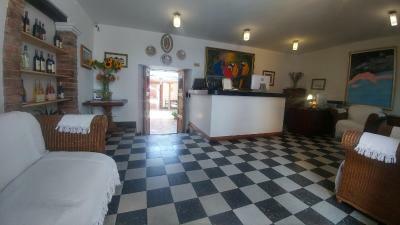 Consistently fine hotel staffed with cheerful, intelligent people willing to assist. The housekeepers are remarkable. 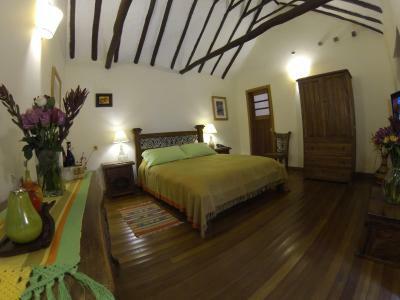 My room had a huge vase of fresh flowers plus a large basket of different fruits and confections which were replenished everyday, along with ample bottled water and sparkling clean glasses, not plastic ones. Water pressure is strong with very hot water at all times. 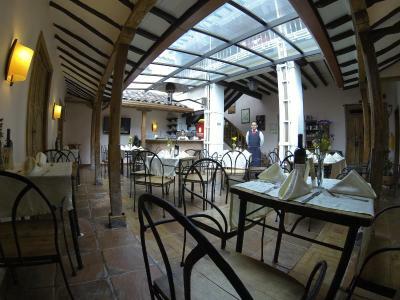 The menu in the Italian style restaurant, Roma, is extensive, and obviously prepared by experienced chefs. The 4 Cheese pizza I ordered was perhaps the best pizza that I can remember ever having. The thin delicate crust was cooked perfectly and the chunks of gorgonzola were strategically and generously placed for maximum taste effect. A++ in all respects! See you next trip too! 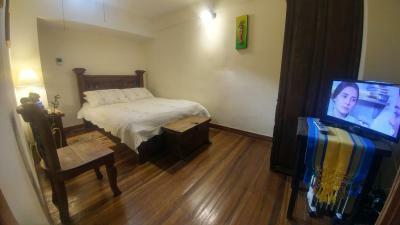 Wonderful location in La Candelaria, closer to restaurants and shops and museums. Staff are phenomenal, helping to coordinate taxis and food recommendations. I fell ill before my flight after I had checked out, and they provided me a room to rest in don't those hours. They are truly guest centered and made this stay a treat. Perfect lications, super clean and very help staff. What a great little gem! 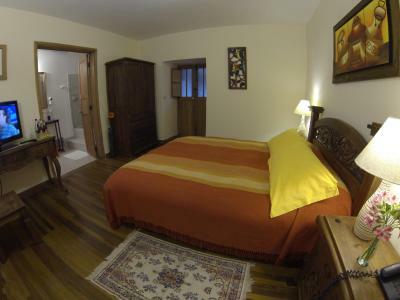 Lovely, cosy and comfortable in a fantastic location, full of students and street artists and street musicians during the day, and the hotel has a great restaurant and patio for the evening. 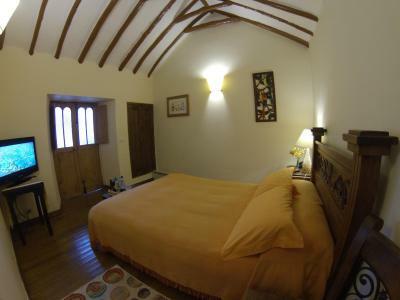 I wish there were search terms for this type of hotel -- quirky, understated, rustic, tasteful, full of character. Just what we look for and too rarely find. 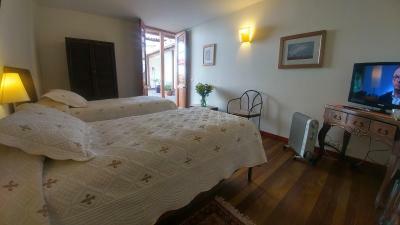 With three small courtyards (one occupied by a very nice Italian restaurant), and every room unique, it is the opposite of cookie-cutter. 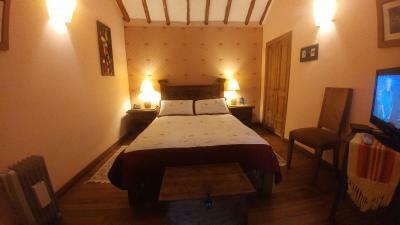 Our room, a junior suite, was beautiful and spacious, with thick walls, sturdy antique furniture, and lovely woodwork. The narrow street is quiet, and the location is fantastic -- a three-minute walk from the amazing Botero Museum, near countless small cafes and bars, but not too touristy. 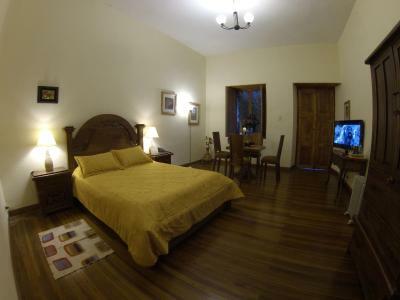 For just a few more dollars that a hostel, you can stay here - a hotel of much higher standard. The breakfast was incredible. It was very quiet and attracted a more mature traveller crowd. 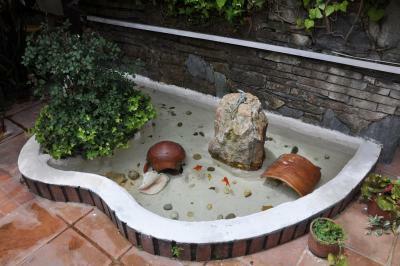 There was also a 2 large courtyards in the centre making for a lovely large area to get some fresh air and relax. Wonderful staff (as everywhere in Colombia!) too. 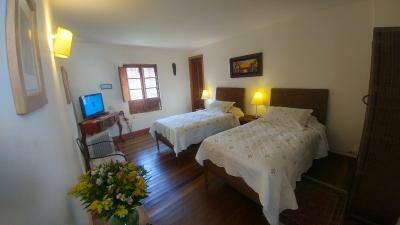 The hotel is well located in Candelaria, lots of places to go on a walking distance. Rooms next to the restaurant are not very nice, really old, not confortable and very noisy in the morning. Ask for a room in the second part of the hotel in the patio, it's much nicer ! Breakfast was good and people were nice. 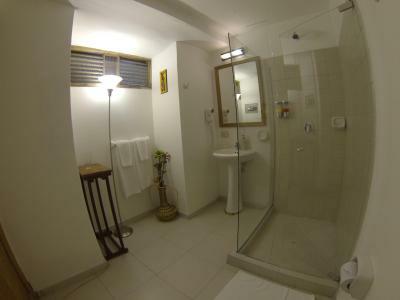 It's a bit expensive for the quality of the hotel compared to others places in Colombia, but seems to be a standard in Bogota. Localization is good to visit the Old City. 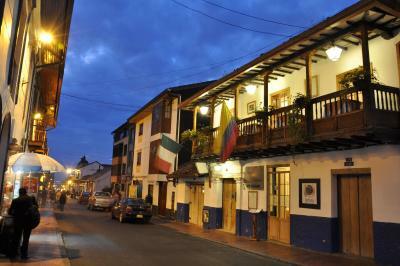 Is at the walking distance to all touristic attractions of Bogota. Breakfast was OK. It takes 1,5 hour by taxi to the airport at rush hour. 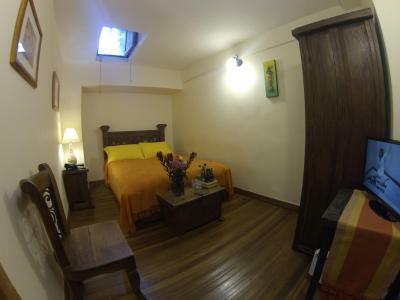 One of our top picks in Bogotá.Set in a charming colonial-style house with inner patios, Abadia Colonial offers rooms with free Wi-Fi only 350 feet from Candelaria Church. Breakfast is provided and there is a restaurant. Botero Museum is 650 feet away. 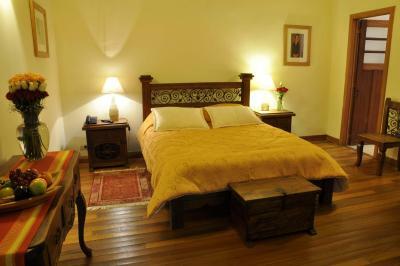 Decorated with parquet floors and stylish wooden furnishing, rooms at Abadia Colonial feature heating and cable TV. All of them have large windows, which make them very bright. An American breakfast is served daily. 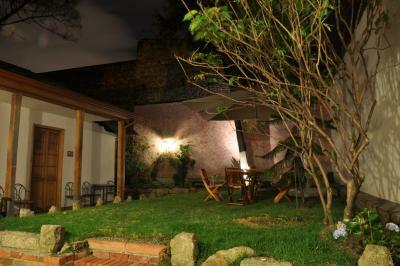 Italian and Colombian specialties can be enjoyed at the property’s restaurant, which affords views of Monserrate Hill. 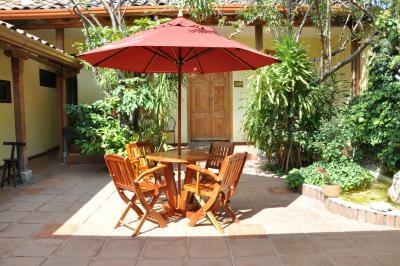 Guests can relax in the garden or on one of the internal patios. They can also rent bikes to explore the city. Bolivar park and the Gold Museum are 1,650 feet away. 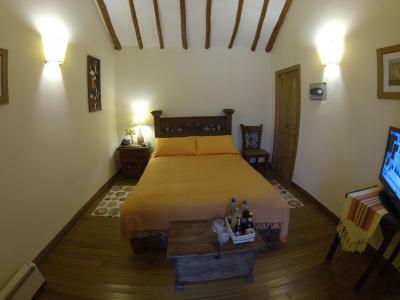 Abadia Colonial is 20 minutes from El Dorado Airport by car. 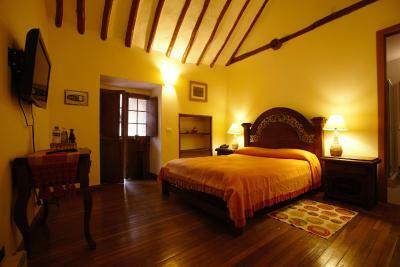 When would you like to stay at Abadia Colonial? 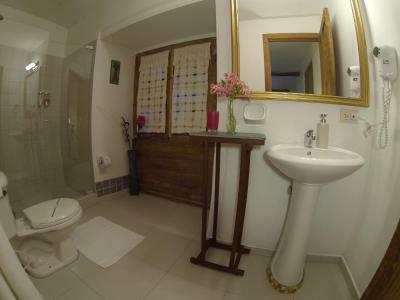 Features heating, cable TV and private bathroom. 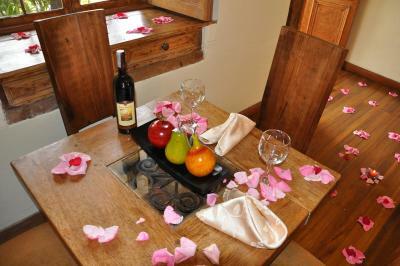 The room is next to the restaurant, which has service from 12:00 to 10:00 pm. 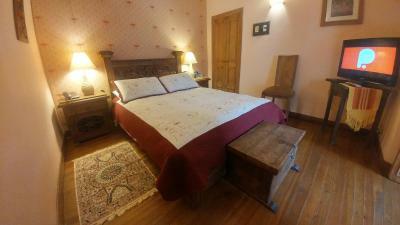 This room features a double bed, a desk, and a safety deposit box. 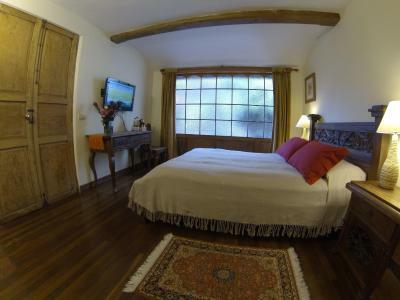 This single room features a cable TV, mini-bar and patio. 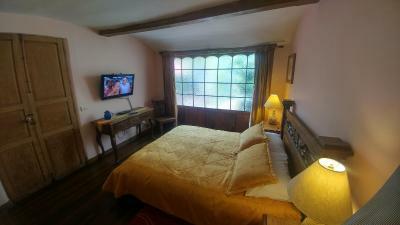 This twin room features a cable TV, patio and mini-bar. 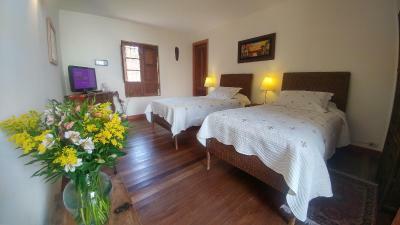 House Rules Abadia Colonial takes special requests – add in the next step! Abadia Colonial accepts these cards and reserves the right to temporarily hold an amount prior to arrival. Would have been nice to have a room facing with a window to the outside but I understand thats just the way the building is! The room we had the first night close to the kitchen and the restaurant. Was not a good way to start our holidays. Hopefully the change us for a nicer room after that. 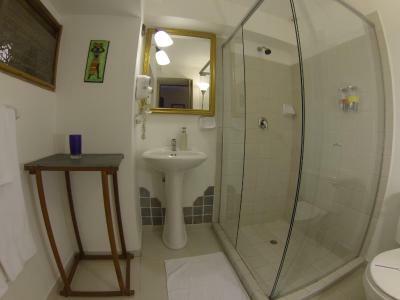 Stay in one of the more expensive rooms only! Otherwise you might not be happy. The Abadia Colonial is a heritage building in a perfect location in the historic Candelaria quarter of Bogota. As a heritage building modifications are limited. 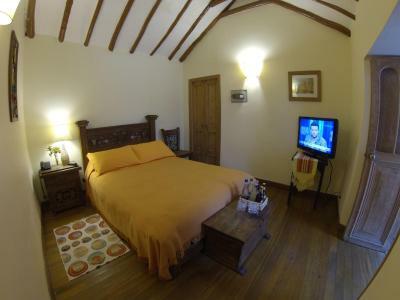 Nevertheless, the owners have created a most comfortable charming hotel. The staff are without exception warm, friendly & helpful. They welcome you as into their home. 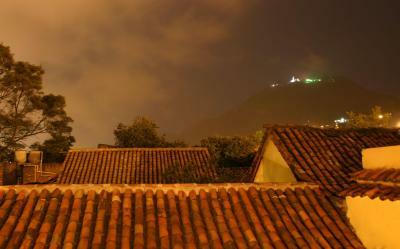 Very quiet it’s clearly a lux in Bogotá ! 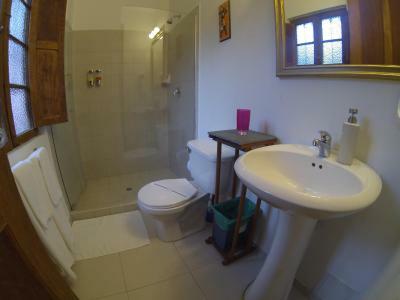 Clean and well located ! Anyone who knows something about photography can see that the wide-angle pictures on their page promise larger rooms than reality. So that was not our mayor disappointment. We had booked two nights. On arrival we learned that only one night had room availability. 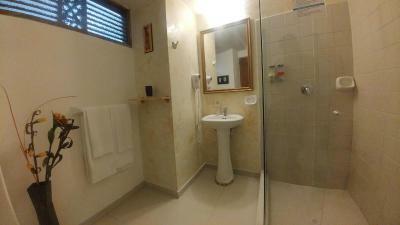 Instead of being apologetic and helpful about the situation, the staff left us alone with the problem of finding an alternative for the second night. 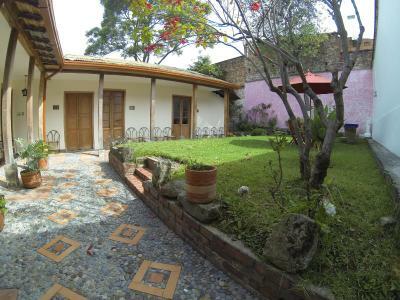 Well - it turned out that the place we moved to was just around the corner and simply fantastic: 'The Candelaria House'. So there was a Happy End after all. The breakfast was very mediocre - very small amount of fruit, poorly presented. Lovely old style room. Cosy and very quiet. 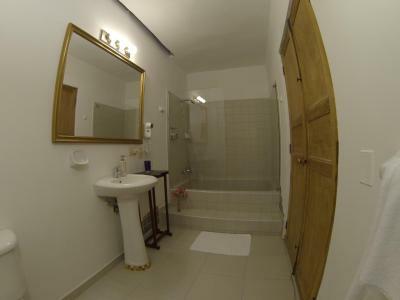 Excellent location, very good facilities and helpful staff. 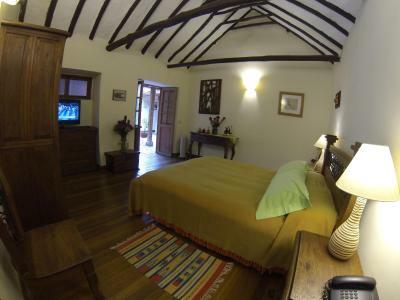 Pure colonial style, authentic and cosy. Wonderful patios. Staff is very friendly and helpful. 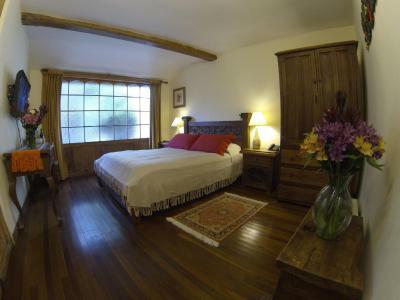 A wonderful place to stay in Bogota. The italian restaurant is AMAZING! The bed in the room was very comfortable. 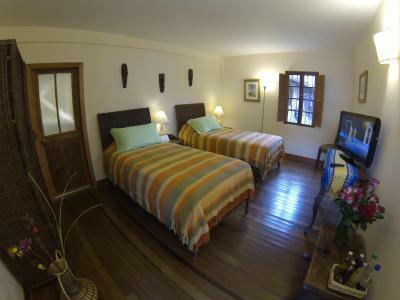 The hotel has a perfect location to those who want to explore the area of Candelaria. Room booked was 'superior double'. 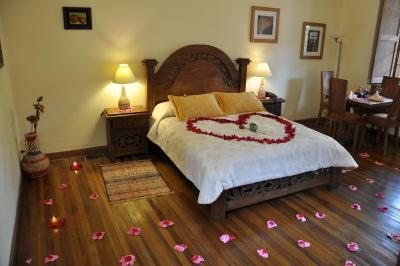 Room provided was twin singles. Asked for room as booked but none available. Asked for twin singles to be made into super-king. Hotel could not do this. Wardrobe smelly. No other facilities in bedroom to store things. No shelves etc. 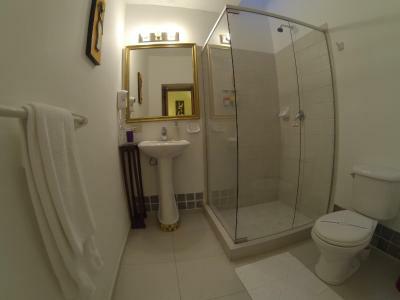 in bathroom to store toilet things / hang clothes. Hotel has potential but lacks attention to detail / guest comfort. Hotel hides behind 'its a listed building - so can't do much'. Staff in hotel and restaurant good. Hotel location good. 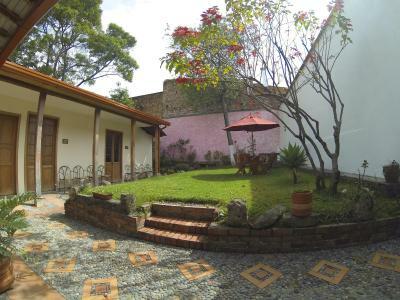 great location in the historic center of Bogota, yet quiet and peaceful in the sunny inner courtyard. 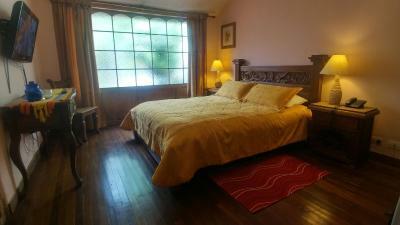 beautiful old bldg., spacious rooms and bath with skylight. bowl of fruit and vase of fresh flowers was the finishing touch! Staff was rude and miserable. Screwed us.on bill. Room was the size of a closet. Very expensive for colombia. Neighborhood was ghetto.